As part of the regeneration of this residential area, the initial phase of this Countryside Homes development involves the rejuvenation of various small parcels of land providing residential properties together with the relocation of existing parking spaces to ensure minimal disruption to residents and local business traders. 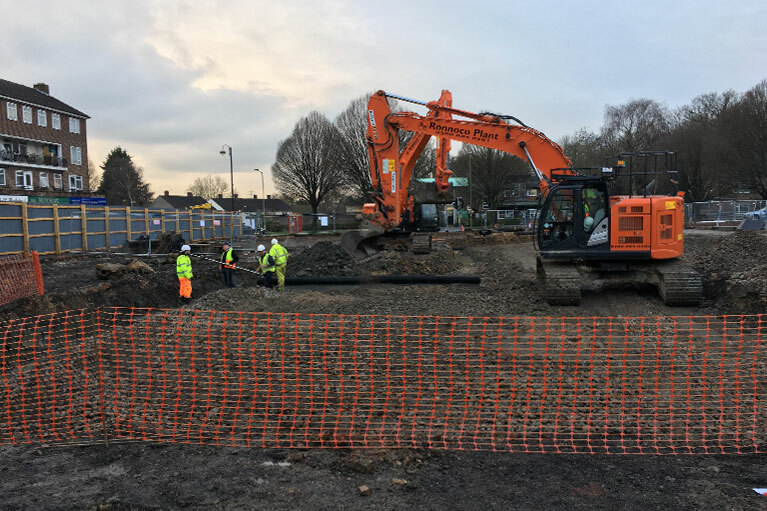 Traditional groundworks were carried out including excavations, break out, strip foundations, roads, footpaths, foul and surface water drainage, hard and soft landscaping, new car park construction, individual grasscrete parking and also a new recreational playground. High volumes of Section 50 and 278 works are required throughout the district which necessitated the use of Temporary Traffic Regulations Orders and close liaison with Three Rivers district and Hertfordshire County Councils.